Katy Bowman - Move Your DNA Podcast Episode from 10th April 2018, particularly her interview with Dr Ihi Heke. Wellness Women Radio (Podcast) Episode #107, Periods and Hormonal Testing. Wellness Women Radio Episode #106, Metabolic Set Point- Does your body want to keep you fat? Andrew is an avid multi-sporter, father, husband, teacher at Mt Aspiring College and all-round good guy. I raced with him 'back in the day' and would love to see him back out there having fun with his family and enjoying adventures. Please consider helping Andrew and his family. You can give-a-little here! In November 2017 Andrew crashed off his mountain bike and received a nasty concussion. Upon further investigation through MRI, the Dr found a brain tumour. Andrew has taken time off teaching for surgery and they have moved to Dunedin indefinitely to be closer to their support network. As you should be aware, Challenge Wanaka have altered the end of the bike course. Do you know the new route? 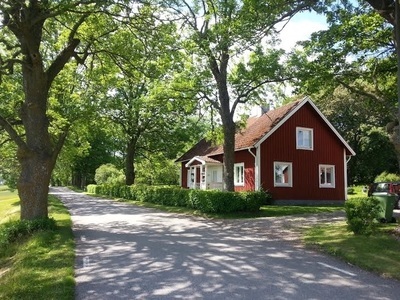 Have you ridden down Stone Street and through Meadowstone? I strongly advise you do this before race day. If you arrive in Wanaka on Thursday, I suggest you do a short ride - descending Stone Street, and over the bumps in Meadowstone. For those who don't know- Stone Street has a steep descent- it's not a long one, but it is steep. Meadowstone has some large 'speed bumps' - I've had air over these before, so thought I better warn you ;-) Then you'll need to put the brakes on for the next intersection. Holly earns a top 10 finish at Xterra Worlds! Holly nailed the technical Maui course, and came away with a top 1o placing. It was touch and go as to whether she would be able to race after crashing off her bike on a practice lap last week. Adrenaline, awesome technical skills and a whole lot of mental strength got her through today. Super stoked for you Holly- you deserved that top 10 placing! Congrats to Mojo athlete Andrea who toils away quietly with her triathlon training, and has recently achieved a number a PB's that I think should be celebrated! It's a great day out on the bike when you can still take the win off your teenage son ;-) Good stuff, Andrea! Holly is heading for Xterra World Champs in Maui this weekend for a 1.5km ocean swim, 32km mountain bike and a gruelling 10.5km trail run. The waves of Kapalua bay will be a welcome change from the icy waters of St Clair beach! Good luck out there, Holly- I'll be cheering for you from NZ! If you are wanting to join the crew and be coached by me (Jo!) this summer, then please do get in touch now. I have limited spaces available, and I'm almost full for the summer. I'm working with a variety of athletes; people are training for : Xterra World Champs in Maui, Mount Somers marathon, Old Ghost Road ultra, Challenge Wanaka, Ironman NZ, Salmon Run duathlon, Red Bull Defiance, GodZone, Hanmer Half marathon... What are you aiming for?! It doesn't have to be an event, you might be keen to get off the couch and build some base fitness. Contact me! 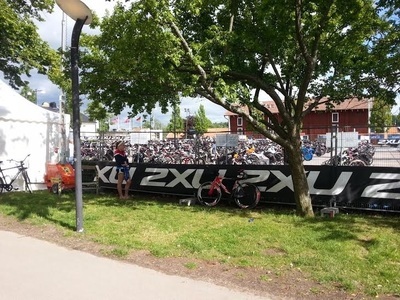 Andi recently competed at the Long Distance World Triathlon Champs in Penticton, Canada. Way to go, Andi! She trained through a hideous Christchurch winter- lots of rain, morning frosts mixed with early morning swims, (no open water swimming), darkness, temps that were about 28 degrees different from race day, and she did it! Here are a couple of photos (taken by Samantha Owles) of Andi on race day in Penticton. Look at that smile! I'm so proud of Leigh and her effort in Challenge Roth. Her mental game was strong and she had masses of Mojo to get through FOUR punctures on the bike course. So cool to see that tracker reach the finish of the marathon! Leigh said the support on course was amazing. Well done to Paul who had an awesome race. I have two Mojo athletes looking for team mates- can you help? Swimmer and runner required for the half ironman at Challenge Wanaka in February. Runner could ideally complete a half marathon in 1:40-1:55hr. Team mate needed for Breca swim-run event on 18th March 2018. My athlete is a first timer in this event and his goal is to finish. Please contact me if you're up for a challenge this summer! I've read three sports bio's in a row now, and have loved them all. In fact there have been times when I've struggled to put them down! "Nathan Fa'avae" by Nathan Fa'avae. "The Climb" - Chris Froome (especially topical right now with the Tour about to begin). "Rusch to Glory" by Rebecca Rusch. This is a truly inspirational book. I need to write a post on her impressive training data... you'll be amazed. Allamanda, Wendy, and Angie (the longest distance Angie has ever run!) Well done, ladies. Great to see you getting out of your comfort zones and completing this event. Well done Andrea, on putting in a solid effort here and making improvements on your bike and run speed. Allamanda- great to see you putting in some intensity in your off-season. Leigh and Andi- who both followed up with a long ride and swim the next day! Andrea achieved a 10min PB from her 2016 effort... that's a massive improvement. It's been a busy couple of months in the Mojo household. I've taken on coaching my daughters netball team, and have been working with the Upper Clutha Junior Sports Academy here in Wanaka. We work with a group of high school students who are excelling in their various sports. My role has been largely focused around mental skills. It's great to see some talented semi-retired local sportspeople assisting the younger generation in our community. Anna- team effort in the Xterra Tri. We had a great crew of Mojo Coaching athletes competing at Challenge Wanaka this year! 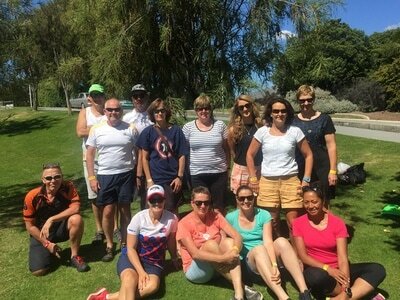 Well done Holly, Kate, Richard, Mark, Andrea, Allamanda, Rebecca, Leigh, Paul, Stu, Andi, Andrea, Jillian on your efforts on a hot, reasonably calm Wanaka day. Leigh had an epic day out there- punctured twice, but pushed on to finish the race showing great mental strength. Stu rode the 180km in the full distance Challenge, the only Mojo athlete doing the full distance this year. Allamanda competed in Challenge for the first time, in preparation for Ironman NZ in a couple of weeks. Jillian did incredibly well, also a first timer doing the whole half distance herself, and rocking it. I'm proud of you all! Thanks to Wendy for being a great supporter over Challenge week. Wendy was out there cheering Mojo athletes on, and taking photos. Wowee- Rebecca Wilson (from Complete Podiatry) was competing in the Womens two day individual, and boy did she rock it! Kayaking was a new discipline for Rebecca to conquer and in the build-up to Coast she competed in the Rasdex series on the Waimak, and did really well. A love of running, and the fact that she's pretty handy on the road bike too meant Rebecca earned a fourth place in the two day indidivual event. This is an excellent result, especially for a first time Coast to Coaster. This is what Rebecca had to say about Mojo Coaching: "Pretty stoked to have the Coast to Coast done and dusted for 2017! Learnt a lot and chuffed with the result..podium next time  Jo from Mojo Coaching has truly been the BEST coach I have ever had, without her there is no way I could have pulled that one out of the bag!" 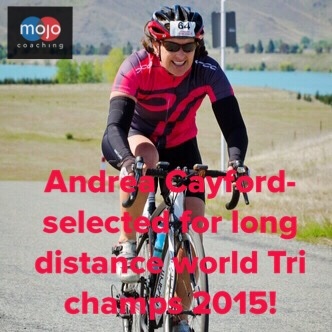 Mojo Coaching is in the Tri NZ top five coached groups! Last week we made the NUMBER ONE SPOT, and now we're still in the top 5 coaching groups. When you enter your races (and I know a few of you are doing Wellington)- make sure you select Mojo Coaching as your 'coaching group'. Congrats Holly, Andrea and Mark on your selection for the Standard distance world champs in Rotterdam! Check out the qualifiers from the Sovereign Tri in Wanaka. If you're into running, then check out 'The Barkley Marathons' on Netflix. It is one crazy event in the US where the entry process is so different from any other event I've ever heard of! The event is run in loops, in different directions. I reckon it's really well suited to NZ'ers. I won't write any more about it- don't want to ruin it for you. but I really recommend watching it! Thank you Wanaka for turning on the weather for the Ruby Swim on Saturday. The water was a bit choppy to start with, but calmed down near the end. 309 swimmers competed on Saturday in a well organised event where Chch open water swim coach Dan Abel took out the title! Dan works with alot of our Chch based athletes, ensuring they are confident in the open water and their technique is top notch. Apparently the water was 16 degrees...though it didn't feel like that. Mojo athletes competed in a mixture of events- the Big Ruby, The Ruby, and Return of the Jetty.... my personal favourite because we got to bomb off the jetty at Ruby Island! Gotta love how the wind calmed down after the swim finished! Leigh, Paul and Allamanda ready to start the 'Big Ruby' swim...preparing for IMNZ in March. Holly and Coach Jo. Holly managed to place in the swim, then ran a leg of the 'Big Easy' team relay in the afternoon! Coach Jo and Wendy discussing bomb techniques for the 'Return of the Jetty' swim! You wouldn't think this champ had just had 3 months off work with a nasty concussion, and only one week of easy training back into it... He competed in his first duathlon on Friday night and took out the number one spot! In November Alasdair was found unconscious on the side of a mountain bike track in the Port Hills. Along with a nasty head injury he suffered serious facial lascerations and had surgery to repair his chin and teeth. As a result of the concussion, Alasdair was unable to work (or train!) for quite some time. He recently changed the focus of his training to duathlons- and achieved a stellar result in his very first effort. Keep up the great work Al- you've got this! I'm stoked to say that Mojo athlete Andrea has been selected for the standard distance Triathlon World Champs in Penticton later this year! Andrea had an awesome race (despite the horrible conditions) at the Sovereign Tri in Wanaka a couple of weeks ago. She earned a PB by approx TEN minutes over the Standard course- and Wanaka would have to be one of the toughest. Andrea has been chipping away at her running this year, and has done some work on her swim technique. This is a great reward for all her hard work. Looking forward to seeing what you can achieve at Challenge Wanaka this year, Andrea! Mojo Athlete Ross Minson chose Red Bull Defiance as his first multi sport race. Little did Rosco know at the time of entering that he would lose team mate number one- Al due to a nasty mountain bike crash & resulting concussion. He also didn't realise the weather would be so bad in Wanaka in January! Wow- what a wind effected event! Sorry your welcome to my new back yard was a little blustery. Holly, Mark, Andrea and Lisa were racing this event in the Standard Distance. Jimmy and Amelia experienced their debut race in the Splash n Dash. Holly came in third place in her AG, and Andrea was 2nd! Sweet for Holly who was ill in this race last year. And Andrea- wow- a PB in that crazy weather. Looking forward to this weekend where Rosco is racing Red Bull Defiance down here. I'll try and have the weather sorted for you by the weekend, Rosco! The Ruby swim is also coming up, and then Challenge! Taupo 70.3 was a great hit out for Kate & Stu who are both training for the half distance in Challenge Wanaka. They manage to balance their training with parenting and full-on jobs. I love being able to help busy people to achieve their goals! 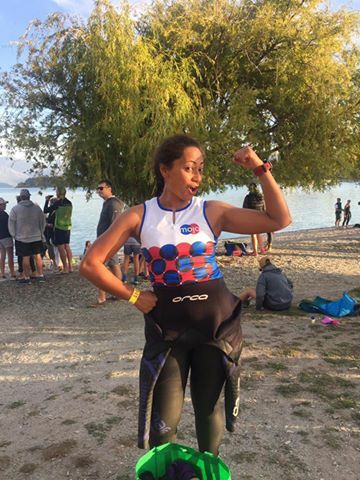 Dee completed her very first half ironman today in Taupo! What a superb effort having come back from injury, and being a first timer. I'm proud of you, Dee! Fit & Abel were holding their 4km Quail Island swim today. Allamanda, leigh and Paul all swam the return trip. This is a perfect event for their IM NZ preparations. Good stuff! Last week I went along to the Frontrunner's Triathlon evening. They had a superb line-up of speakers including Andrew (physio), Marewa from Pure Sports Nutrition, Steve from UC Sports Science Dept, Charles from Vertex Altitude training and Dan from Fit & Abel. Fit and Abel are holding sessions at Waltham Pool on Monday lunchtimes. Vertex altitude training- I'm keen to get along and check this out as I believe it really helps. Steve reiterated the importance of recovery and rest days! Thanks Frontrunner! It was a very well organised evening. Mojo athlete Mark competed in a very hot and humid standard distance race in Cozumel yesterday. Even the elites appeared to find it tough racing in those conditions. Mark made the most of his week in Cozumel and raced the aquathon too. Unfortunately Holly contracted a nasty virus a few weeks before departing for Mexico and made a very sensible decision not to race. Such a tough call, but I totally agree that it was the right one and will ensure she has a super summer of racing in NZ! From the Mojo Lifestyle files : 8 Week Challenge. I've been working with a lovely group of ladies in Lincoln over the last 8 weeks to make some lifestyle changes with the goal of becoming regular exercisers and mindful eaters. WOW- they blew me out of the water with their amazing results tonight! Nearly all of them have signed up for the next 8 week challenge- starting on 28th July. Please contact me if you're keen to join us! What a great day for a run in the city! I personally loved the new course- lots of corners, different surfaces underfoot and a brilliant clear, calm day. I just loved coming around the corner in Hagley Park, the sun shining through the trees, mist rising off the grass and the pipers playing their pipes. Mojo athletes had a successful day on the course- great to hear of those PB's coming through :-) Well done Leigh, Jane, Mark, Andrea, Richard, Allamanda, and Simon. I have to congratulate my very own husband who ran the half, 20 years after his last one. I'm sure that won't be his last one either. And my father who ran his very first half marathon age 60++. Good on you, Dad! Coaches confession: I personally had a less than ideal build up... two years ago my old back injury (which also effects my sciatic nerve all the way down to my foot) flared up, and I could barely walk. I was so excited to build up to running 21km again! I ran the Hanmer half earlier in May, and it took three weeks for my back and left leg to recover. I thought seeing as I didn't seem to have any lasting damage that I should run the Chch half as well. Due to the limited feeling in my left foot, my body couldn't cope with the extra stress of speed work. But if I managed myself well, I knew I could go the distance. In my 20's and early 30's I had a somewhat arrogant attitude, thinking if my half marathon time got to be over 2hrs that I would never run another one. Well times have changed! I'm happy to say I actually had one of the best runs of my life on Sunday morning. I loved just being out there, chatting to other Mojo athletes, running with my family (although a fair way behind them! ), overcoming my injury and enjoying a beautiful day. My goal posts have moved, and at the moment I run for different reasons. On Sunday I thought to myself- what if I hadn't run, and had missed this great experience, all because I was worried about my time on the race clock. Athol New is the Aorangi regional finalist in the NZ Young Farmer of the year comp. Athol is committed to taking out the top spot at the Finals which will be held in Timaru in July. The regional finalists are put through their paces both physically and mentally over the two days and to prepare for this Athol has been working hard on his fitness with a plan from Mojo Coaching. There is a 'Peoples Choice' award where the public can vote. Give your vote to Athol! Click on this link for voting. "Be a Balanced Athlete". Tuesday 24th May. I hope you all learned something at our Be a Balanced Athlete Seminar. Sonja cooked up a storm with her three recipes- Kumara Balls, Seedy Slice and her Quinoa & Vege salad. These were easy to prepare, and perfect for pre and post training consumption. I spoke about Planning and the benefits of Training your Mind. Have you all spent some time this week on planning your next season? Let me know if you have questions on the Centring technique. The very passionate Dr Nick spoke about nutrition for high performers, and provided some strategies to set you on the right track. Here's Sonja - NZ's #1 Sugar Free Chef making her Quinoa salad. Perfect post-training quick dinner. Kumara Balls made by Sonja from SJ's Kitchen using PURE vanilla whey protein. These can go in the freezer, and are easily transportable for training snacks. Tuesday 24th May, 7:30pm at the Lincoln Events Centre. I will be speaking about preparing for your A-race, and some other handy Sports Psych tips. NZ's #1 Sugar Free Chef- Sonja, will be doing some cooking demo's aimed at busy athletes, and she will give you the recipes to take home. Dr Nick Kimber will be speaking about nutrition for high performers. Email me to book your spot! Spaces are limited. Well done to all the Mojo crew who raced this weekend! Tom competed in the 12hr Mountain bike event in Naseby, and came in 4th. Holly rode in a team. Bee, James, Vicki and Mark raced Graperide. Vicki had an awesome race, after competing in Le Race, 2 weeks before. Great news- Vicki has now qualified for World Champs in Perth. Later this month Vicki will also compete at the Road Cycling nationals in the TT and road race...watch this space! Jono raced the Hanmer 4hr Mountain bike race. It was a perfect day for the Sea to Sky Challenge in Sumner on Sunday. Paul, Emma, Stu & Kate, and Matt all competed. Heart rates were high, and the scenery- stunning. Great to support this local triathlon! "PAUL KNILL- you are an IRONMAN!" So pleased to see you cross that finish-line (via the web!). We await your race report this week. On the way to the swim Emma got stung by a bee, then managed a PB in the swim. Unfortunately she had to pull out of the race after the swim. Bring on 2017! 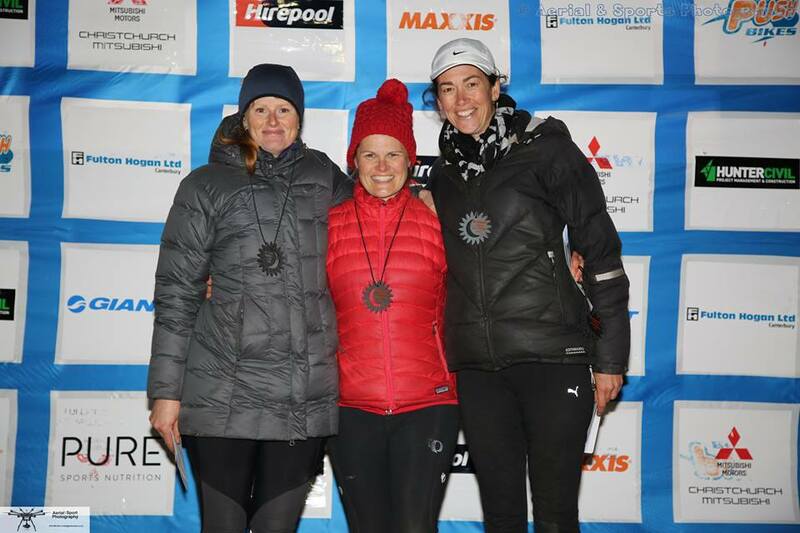 Wow- we had some gritty performances in Wanaka this year. 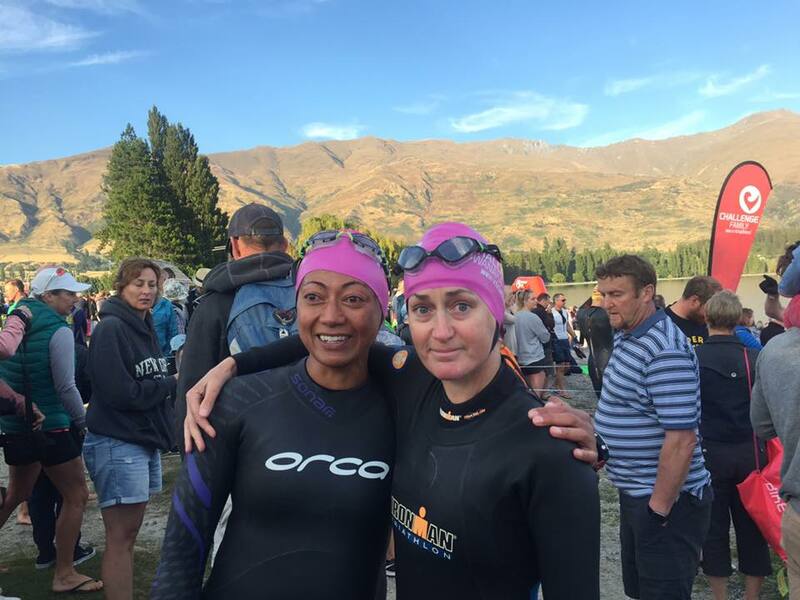 Julie and Katy covered the long course, both for the first time after previously ticking off the Lake Wanaka Half. Katy came 2nd in her age group. Paul, Leigh, Vicki (4th), Holly, Matt, Mark, Andrea, Richard, Wendy, Stu, and Rebecca all completed the half. Guy and Andi teamed up with Andi's husband- Mark for the half teams event. It was a fun (and busy!) day being a spectator and watching you come passed on your bikes and on the run course. The wind reeked havoc on the bike course with some of you being blown into the side of the road. There were a couple of PB's on the swim course which is awesome in choppy conditions. It's super to see a few of you have already entered the 2017 race! It's race week! 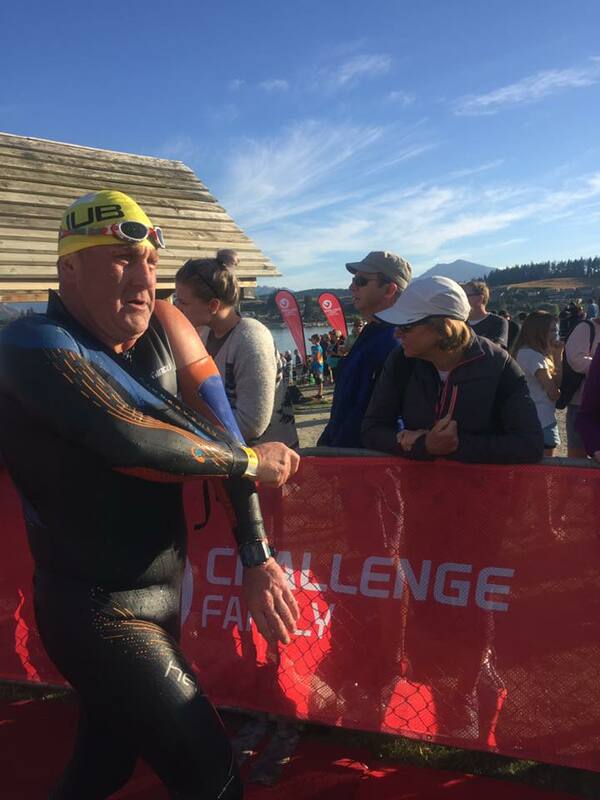 This Saturday, 15 Mojo athletes will line up to compete at Challenge Wanaka and the Lake Wanaka half Ironman. Julie and Katy will compete in the full Challenge. Paul, Leigh, Vicki, Holly, Matt, Mark, Andrea, Richard, Wendy, Stu, Rebecca, will compete in the Half Ironman. Guy and James will both be riding the cycle leg as part of a team. I'll be out there, on Gunn Road in supporter mode. Wishing you all a speedy race! 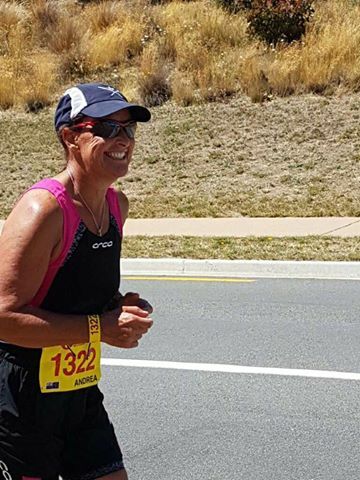 Mojo athlete -Jane has an inspiring story of recovery... After a nasty virus that prevented her from running for a year, I'm so pleased to say she's back out there and competed at Buller on Saturday. Jane will also take part in the Run to Remember this weekend. 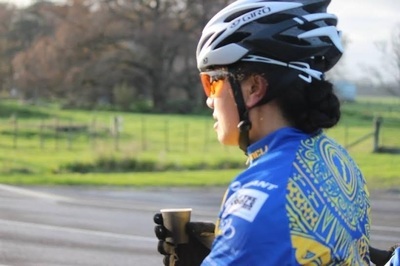 You can read her inspiring story here, on the Sport Canterbury Website. Well done, Jane! You've come such a long way. 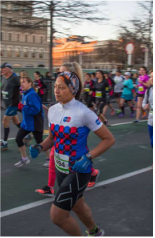 Carol also competed at Buller, using the half marathon as a warm up to the Motatapu marathon next month. Saskia, Allamanda and Richard all competed in the Marlborough half IM at the weekend. Wendy did the swim leg in a team, then ran the 10km in prep for the Wanaka half later this month. Saskia loved the run, which is a tough course in a half IM. Allamanda did a PB in the swim, and enjoyed the bike course. Richard reported the run was HOT! Alasdair, Jeannie and Cara raced the Kaiwara Classic on Sunday. Al had an awesome race, taking 12mins off his previous PB!! Jeannie and Cara rode strongly, and would have come in 2nd and 3rd had Cara not had an unfortunate crash 5km from the finish. We wish you a speedy recovery, Cara! 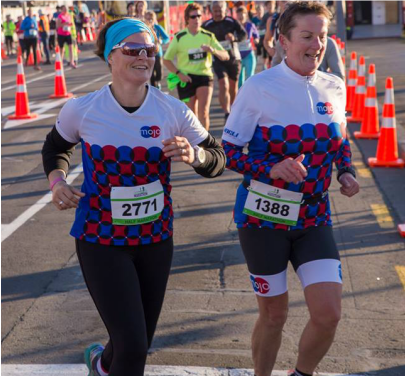 Awesome to see Saskia and Holly achieving their race goals at the Timaru tri on Saturday! Well done to Bee and James who rode the Pegasus Cycling club race on Sunday. James had a win in C-Grade! Best of luck to all those racing Brunner this weekend. Go hard! It's a happening thing! January 30-31st I'll be running a training camp to cover all the triathlon crew. Three different programs- full iron distance, Lake Wanaka Half IM training, and those who are tapering for Marlborough. This will be a great chance to simulate racing, finalise your nutrition plans, and work on your mental toughness. See you there! If you haven't already registered, please get in touch asap. Mojo athletes have already been out in full force in 2016! Leigh and Paul raced the Port of Tauranga Half Ironman on Saturday. Thankfully conditions were much calmer than they had been in the days leading up to the event. Katy, Vicki, Matt, Holly competed in the Wanaka Sovereign Tri race, also on Saturday. This is an awesome build up race, for your bigger 'A' races that are coming up in February. I hope you all had a fabulous festive season! Have you set yourself a big hairy goal for 2016? There's no time like the present. What's on your event 'bucket list'? Get in touch, and I can help you tackle that big hairy goal! The Mojo clan went camping over the holidays, and fortunately for us there was loads of space for running and mountain biking. Over the last few weeks I've seen quite a few of you for running and cycling technique sessions. I'm such a 'technique geek'- I love breaking down movement patterns and assessing how we can make your technique more efficient (and allow you to go faster!). These sessions are for anyone- beginner to advanced athlete. Or perhaps you're just starting out on your fitness journey and you're unsure of your form. It's a great idea to start with excellent form, and reduce the likelihood of getting injured or ending up with a muscle imbalance. Give me a call or send me a message if you would like to become more efficient in your discipline. It's all go for summer! Mojo has been well represented at a number of events recently. The Queenstown marathon and half with Kerry, Wendy, and Stu (half), Katy and Guy ran the full. Katy came in 3rd and took 20mins off her PB time! Jeannie and Cara ran the Sky rock n run at Oxford. Hannah ran the Rotorua Half marathon. 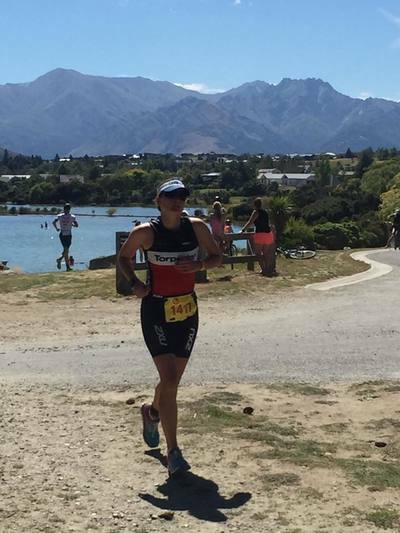 Andrea has been competing in the Oamaru Duathlon series in Prep for the Lake Wanaka half IM. Ross has been racing the Woodstock kayak series, and running lots of hills to prep for the Luxmore Grunt. Paul K, Richard P, Sarah did the Pegasus tri. Lake Taupo Cycle challenge- Vicki and Guy. Longbeach Coastal Challenge- Alasdair and Jono. Holly and Katy competed in the Gore Triathlon- Holly in the sprint and Katy in the 2/3 half IM. This weekend it's the Kepler Challenge where Cara will go long! Ross will do the Luxmore Grunt and Jeannie and myself (Coach Jo) will ride the Bridge to Bridge Mountain bike course. It's great to see many of you racing the Corsair Swim series, and doing so well. The Tai Tapu Time Trials have been popular this summer too. Great to see you all testing yourself! If you have any questions about any of the above events, please do get in touch. It seems you've all got your Mojo! Well done Bee on taking out 2nd place in the Waiau 10km at Labour weekend. Tom successfully completed his first marathon in Auckland over the weekend, in 3:55hrs! He must have been inspired by the AB's win. Cara took on the Mt Somers marathon at the weekend. This would have to be the toughest, most technical marathon course in NZ. Awesome effort Cara, finishing in 8:26min! Mark, James and Vicki are currently in the final stage of the 5 Passes Tour. James was in 1st place, in his category, and Vicki also first. Keep up the good work- should be a smooth ride into Chch with the wind at your back! Tom is running the Auckland Marathon for Youthline. Mojo athlete Tom O'Flaherty is running the Auckland Marathon on November 1st in aid of Youthline. Tom's been working hard for this event; his first ever marathon. Please get on board and donate some money to a great cause! Last year Youthline helped 24,000 young people in New Zealand- quite possibly somebody you know. Click on this link to access Tom's fundraising page and make your donation. McLeans 12hr day/nighter & Six hour Blast. Team Mojo Coaching had a brilliant day out at the McLeans Mountain bike events. We rode the 12hr in a 4 person team- Cara, Jeannie, Sheryl and myself. I need to acknowledge just how far Jeannie and Cara have come in the last couple of months, only just getting their bikes and tackling their big, hairy goal. Our lap times were similar and consistent, and we came in 2nd in the 12hr Vet women's teams. Yeah! Here is your map for the 5km course. The 2km course will be around the Lincoln Domain (fields in front the Event Centre). I look forward to seeing you there! Sue and Mark are off to Standard Distance Tri world champs! Mojo athletes are taking on the world this week with Sue Beale and Mark Dineen competing at the Standard Distance Triathlon World Champs. They're both also competing in the World Aquathon champs as a warm up event. This will allow them to get their bearings on the swim, and have a short run at race pace before Saturday. Good luck Sue and Mark, and also fellow Chch athlete Sam! Guy is working on his Mojo! Introducing..... Guy McCone from Hawkes Bay! Guy's #1 goal for 2015 is to complete the Queenstown Marathon with backing from his initiative : Team Rubber Duck Racing. Check out his 'Givealittle' and Facebook pages. Big ups to Guy for his openness in discussing his depression and anxiety- I'm confident it will help others to talk about their similar issues. It's fantastic to see a role model out there setting and achieving goals while keeping their life balance in check. Physical activity is proven to help reduce the symptoms of depression- so good on you Guy, lets do this marathon! I'm excited to let you know that our Mojo clothing design is confirmed! Huge thanks to Mojo athlete Alasdair for coming up with a beaut design. Orders are open this week, so if you'd like to purchase some Mojo kit, please contact me and I'll send you an order form. We have cycle tops, cycle shorts, tri shorts, arm warmers, vests and running tops. Wowee- we survived the coldest and darkest month! Well done team. I saw on Training Peaks that one of you even went to the extreme of doing a THREE hour session on your windtrainer! The Mojo Crew had some successful race results - Bee & Team won the womens 3hr rogaine in North Canterbury, and Guy and Pip raced the Maratona dles Dolomites in Italy. Some of our Southern Mojo athletes are completing the longest runs they've ever done in prep for the Dunedin Half Marathon in September. Likewise- James completed his longest ride to date in prep for the 5 Passes tour. Special mention to Kerry who is doing extremely well in her 20 week challenge- strength and cardio gains happening every week! We welcome back returning Mojo athletes Vicki, Toni, Paul and Guy. And a big friendly Mojo welcome to Saskia, Angie and Tom. Spring is only four weeks away now, and I'm sure you'll all looking forward to longer daylight hours and warmer temps for running and riding. We'll be back in the open water in our wetsuits before you know it ;-) Bring it on! "The USO Bike Ride crew are an amazing bunch of Pacific and non-Pacific people from around the country who use cycling as a way to promote healthier living and highlight the importance of regular health checks among Pacific peoples. 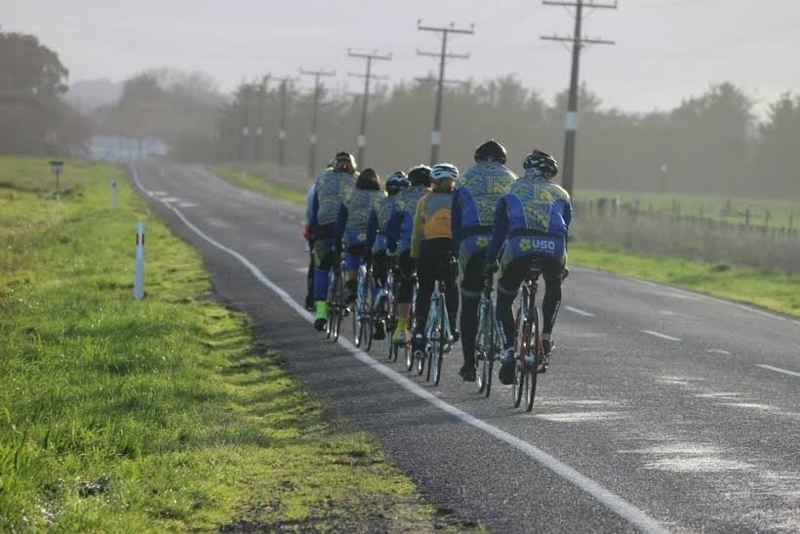 An USO ride camp was held in Feilding, Manawatu on 27/28 June. 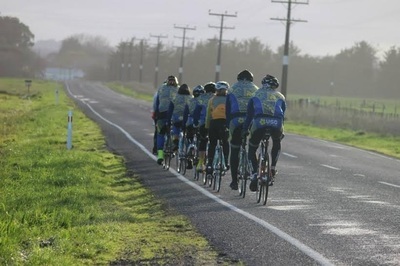 Three groups rode according to ability and experience (Te Karere, Tagata Pasifika and Fresh) and no one was left behind. Two key goals for this Ride Camp included 1. Practice group riding, different rotations and to serve as motivation for cyclists aiming to do all or part of the USO NZ Ride in February 2016 and 2. Getting to know one another and be reminded of the USO message of better health for Pacific people. For more information check out their website - http://www.usobikeride.co.nz/about.html. At the moment, I am the only USO rider in the South Island and I was warmly welcomed by all. It is my hope that other South Island-based riders join USO. A fantastic weekend of riding with inspiring and awesome USO crew". 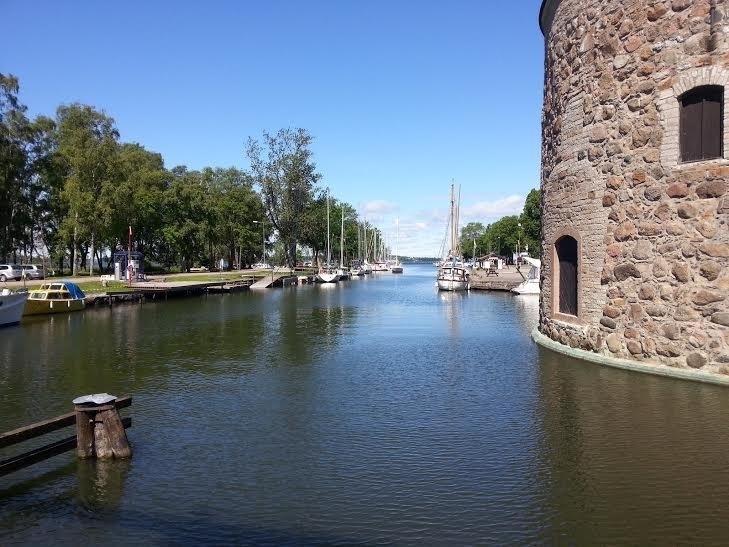 Images from Long Distance World Triathlon Champs in Motala Sweden. 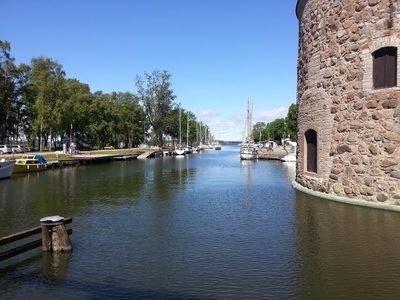 First I must congratulate our two athletes - Andrea Cayford and Andrew Taylor for their efforts at the Long Distance World Triathlon Champs in Motala Sweden. They've both endured a long tri season, and trained through some cold and miserable weather to achieve their goals. Andrew placed 15/69 in his age group, and Andi was 10/20 in hers- world class eh! The race distance was set as 4km swim/120km bike/30km run. The day prior to racing, the water temp was too low so the swim was cut back to 1500m... a tough swim in 14 degree water! Andrew reported the ride was fast due to the smooth road surfaces (makes a change from cycling around Christchurch!). This weekend Mojo Athletes Andrew Taylor and Andrea Cayford are heading off to the Long Distance World tri champs in Motala Sweden. These dedicated athletes have been training in cold weather and an extended season to reach this prestigious event. Safe travels, we look forward to following your progress! Great effort from James McCone last weekend in the Winter Worlds cycling race at Prebbleton. James was a first timer at WW, and managed a 3rd place finish in D-grade. Mojo cyclist turned runner - Dan Mitchell completed his first half marathon: the Rustic Run in Central Otago. Dan chose a rather challenging course for a first half, but managed to bust out a 10th placing which is impressive on debut. Good stuff, Dan! You guys were amazing out there! Mojo athletes recorded lots of PB times; including Clarke who took 45mins off his marathon time! Emma C and David also ran the marathon, and Phil, Megan, Sarah, Phil & Wendy the 10km run. Alex did the 10km walk. Tam, Carol, Emma P, Andi, Mark and Katie ran the half. Mark also pulled out a PB! Amelia and Jimmy (junior Mojo athletes) ran the 1km and 2km Marafun. I'm sure you'll agree it was great to finally be back in the city, and on such a beautiful day for a run! ﻿﻿Did you know that a high percentage of Mojo athletes are farmers or live rurally. Lots of you will be busy calf rearing in August/September so I'm coming up with a plan to build your fitness as much as possible before works takes priority. ﻿﻿Awesome effort from Bee yesterday, as she smashed her Mt Isobel Challenge goal run time! For those of you who don't know, the Mt Isobel run course is 9km of extreme uphill. Approx 2km on the road, then 7 on rough terrain up the hill to tag their team mate, or transition onto the mountain bike. Watch out Waimate, team Mitchell are on the loose! Dan and Schiovan (usually cyclists) have taken up running and managed to claim 2nd place in last weekends team relay event. 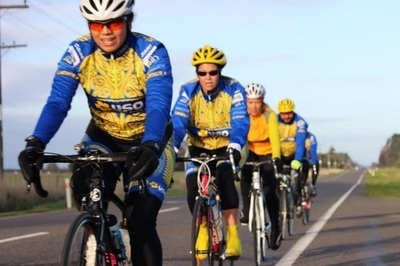 They'll be back on their bikes this Saturday racing the Timaru Club cycle race. Go well team Mitchell! Mojo athletes, and our SKINS Recruits are go for launch in the Christchurch marathon events! Sarah, Wendy, Mark, Emma, Andi, Tam, Carol, Phil, Lisa, Alex, David, Clarke, Phil H & Katie are competing in events ranging from the 10km through to the marathon. Some of you are first timers, others are attempting PB's. It's going to be awesome to have the event back in the city. If any of you are reading this and haven't received race plan info- please message me and I'll send it through. I'm looking forward to seeing you all cross that line on Sunday 31st! At the moment you should be thinking about resting your legs, eating and drinking sensibly, working on your race plan and putting the finishing touches on your training. Richard, Tracy, and Allamanda. I'm really excited to be working with you towards achieving your goals! Congratulations to our latest Ironman- Leigh Davidson. Leigh competed along with husband Paul in Ironman Port Macquarie on Sunday. As mentioned last week, Paul was backing up on his IMNZ performance in March. Phew! Solid effort from both Leigh and Paul in wet, windy conditions. If you don't know much about training for an Ironman event- it's massive! The race distances are 3.8km swim/180km bike/42km run. Imagine two people in your household training for this... lots of long and lonely hours on the bike, in the pool/lake/ocean and pounding the pavement solo. Leigh and Paul coped tremendously well with all of this, whilst managing to work and still have a social life. It's all about balance eh! In other news- it was the Hanmer Half marathon, 10km and 5km on Saturday. Well done to Mojo newbie Emma who came 4th in the Vets. Wendy ran the 5km on her comeback from injury. This weekend Mojo athlete Leigh Davidson will take on her very first Ironman event - the 30th anniversary event of IM Port Macquarie! 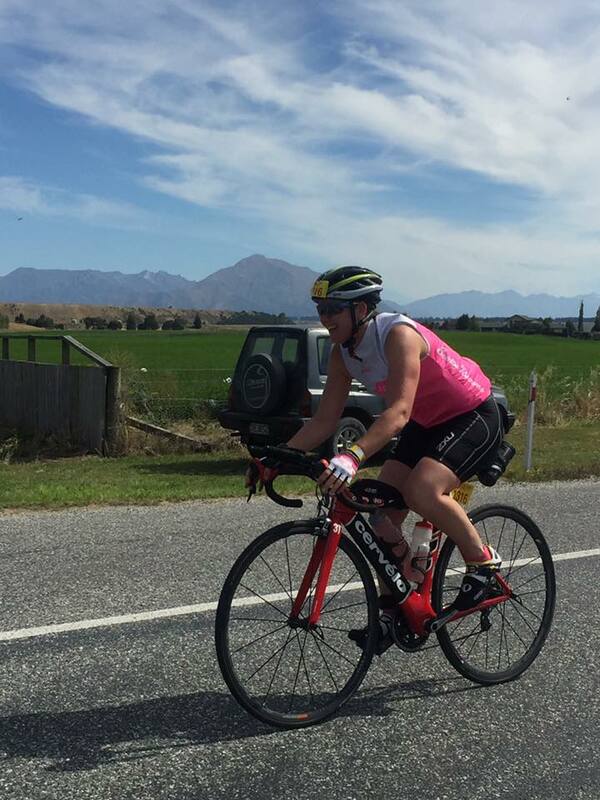 Leigh will be supported on course by Paul, who recently raced IMNZ in March in a PB time. Paul took some time out to recover and refresh after IMNZ, then joined Leigh on the last of her training missions for IM Australia. Goodluck Leigh and Paul! Tom had a great day out in the 12hr solo, placing 4th out of a massive field of 60 individual riders! Guy (pictured below) rode the Paris to Roubaix race and said it was a hard day at the office; he loved it! It was freezing, and wet at times, but all the Mojo crew gritted their teeth and finished the event - most of them with a smile! 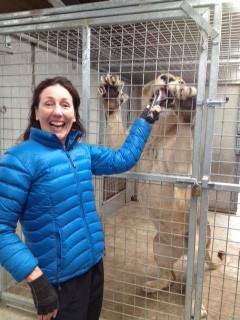 Vicki's team placed 3rd and Sue won a spot prize of a Lion Feeding experience (see photo). Well done Sarah, Wendy, Vicki and Sue. * always walk the transition entrances/exits and know where you're going. It saves alot of stress in transition! *on a day like Saturday that was only about 8 degrees, it pays to have an extra layer of clothing in your transition bag. There were alot of cold cyclists out there! * I saw loads of bike seats that were too low. Most of these were in the more social classes. If you know of somebody getting into cycling, please encourage them to visit a bike shop and have their seat set at the correct height... otherwise you run the risk of injury, and being very uncomfortable on your bike. Last night I went to hear Dr Libby Weaver speak about understanding the mysteries and the magic of the female body. *De-stress. Everyone is busy and has a large to-do list. It's about how you show up for the day. You can panic when looking at your list, or you can take a deep, diaphragmatic breath and say 'righto, I've got this!' and get into it. This will make a difference to how your sympathetic/parasympathetic nervous system reacts, which in turn affects many bodily functions. *Eat more plants and wholefoods! *Liver function is hugely important. The liver filters and processes blood. It metabolises nutrients, detoxifies harmful substances, makes blood clotting proteins, and performs many other vital functions. It metabolises Estrogen, and if we don't have the right receptors, it will recycle it back into our blood (this is not ideal!). *Dr Libby discussed the role of Estrogen and Progesterone in our bodies, and the healthy, ideal way it should function. Also- what happens we over/under produce them. *Thyroid function (drives metabolism), Iron is important in this process and many NZ women are deficient in Iron. If you are estrogen dominant you might experience a decrease in Thyroid activity. * We should be aiming for an efficient clearance of hormones from our bodies. Decreasing stress, eating a wholefood diet, diaphragmatic breathing, getting adequate sleep will all help this. *Periods should just turn up...without the PMT, cramps, mood swings etc. These are all signs that you need to address what's happening, and the triggers in your body. If you suspect you have an issue with hormones, liver or your Thyroid, it's important that you seek help from a GP. Bee and James along with teammate Elise had a cracker race at Easter in the Absolute Adventure 6hr race at Murchison. They placed 2nd, in their first ever event together... almost taking the top podium spot! Guy is enroute to Paris for the Paris to Roubaix cycle race this coming weekend. Clarke had his last run in the You Yangs (Vic) in prep for the Buffalo Stampede 30km race on Friday. Vicki and Sarah are competing in the final Soveriegn Tri series race this weekend- the duathlon based at Orana Park/McLeans Forest. I'll be there as an official for Tri NZ. A big shout-out to the Mojo crew who are riding Graperide this weekend. Vicki, Mark, Bee, James, Guy, Paul, Leigh and Wendy. Pace yourselves, leave it all out there (while riding tactically!) and enjoy the views! Vicki is backing up from her super effort at Le Race last weekend. This is Paul's warm down from Ironman NZ and warm up for IM Port Macquarie. Leigh is prepping for Ironman Port Macquarie by riding two laps of Graperide. Mark is competing in an adventure race in Auckland on Friday, then jetting down to Blenheim for the race start on Saturday. Detailed training plan + 3 training sessions for NZD$99! Paul, Andi and Lizzy- YOU ARE IRONMEN! You all coped incredibly well in testing conditions on Saturday. Paul took 53mins off his 2014 time. Andi and Lizzy finished their first Ironman events, with huge smiles on their faces. I look forward to reading your race reports, and perhaps sharing some of your experience with our viewers. Rest up, and recover well. ﻿﻿Motatapu 2015﻿﻿: Unfortunately the southern lakes didn't turn on their usual stunning weather for the Motatapu events this year. Mark, Vicki, Nick and Toni battled the elements in the 47km mountain bike event, and Charlene took on the 42km Mountain marathon. Great effort team! Recruits- welcome aboard the Mojo team! Over the next 12 weeks I will be working with 10 budding athletes who will take on various events at the Christchurch marathon on May 31st. You'll all be wearing some snazzy compression gear from SKINS which will greatly aid your recovery and ability to perform in your next training session. Bring it on! 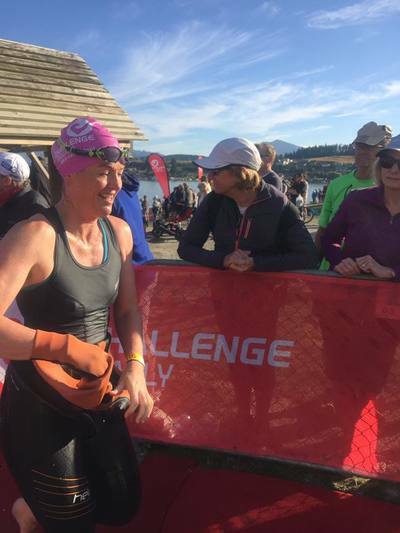 Challenge Wanaka on Sunday- a successful event for Mojo athletes with lots of PB's and learning experiences. Well done Emma, Emily, Rob, Paul, Andrew, Mark, Stu & Kate, Andrea (PB by 17mins) & Richard, James & Bee, Wendy, and Guy. Conditions were near perfect out on the course, some might say a bit too hot on the Outlet track! Thanks for sending your event reviews back to me- now I can see from your perspective what you need to work on. Entries are now open for Challenge Wanaka 2016- who's going back for more?! Most will be resting and recovering for the next couple of weeks. Mark is taking on Ride the Rakaia this weekend, and Schiovan and Dan will join him in the event. Andrea and Richard will be riding the Pass to Pub with their boys. Sarah will be racing the North Canterbury Tri. Go team! Team Mojo was well represented at the La Grande swim in Akaroa yesterday. Wendy, Leigh, Paul, Lizzy and Andi all swam- some of you after a big training day on Saturday. Great to have some of our athletes train together on Saturday morning at Kaituna Valley. We did a taper brick session, that was only slightly disrupted by a moving mob of cattle! 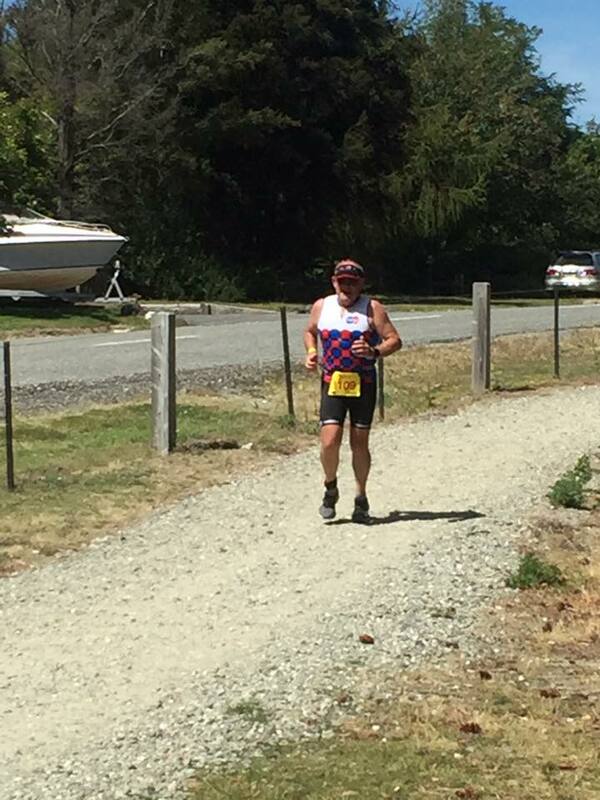 ﻿PB's this week- Mark Dineen at Around Brunner, Andrea Ludemann at the Waimate club cycling race, Paul Knill- swimming. Keep up the good work team! Leigh Davidson and Paul Howells attended the Canterbury Tri Club training camp. They had a great time (despite the West Coast weather!) and achieved some solid endurance kilometers in their legs. They ran on some of the West Coast wilderness Trail- Paul said it is definitely worth exploring on foot or on your mountain bike. 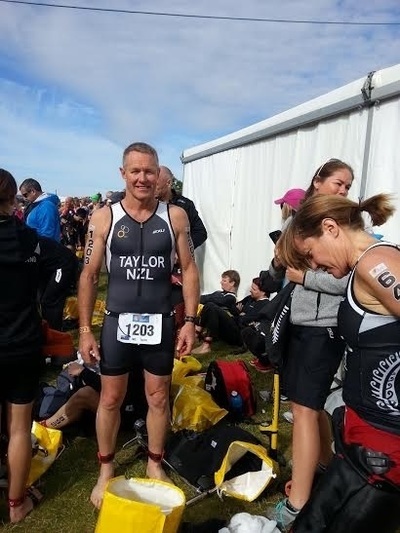 Congratulations to Mojo athlete Karl Tyrrell who competed in the Auckland Ironman 70.3 last weekend. The New Zealand Herald wrote an article on Karl; a man of many talents amoung them- NZ's #1 ranked Volleyball referee and international official. Check out the article here. Last weekend we also had Wendy, Mark, Rob and Emma travel to Wanaka for the Ruby Swim. Unfortunately this was postponed, then canceled due to high winds. Mark went on to do the Sovereign Tri on the Sunday, in very windy conditions and despite this, had a great result with a speedy bike split. This weekend is a little quieter with athletes busy chipping away at their training. Athletes training for the Lake Wanaka half Ironman are down to their last couple of hard weeks of training, with long sessions in the weekend and speed focused sessions mid-week. Ironman NZ athletes are still in the thick of their LONG days out swimming, biking and running with just over 6 weeks until race day. Keep up the good work team! 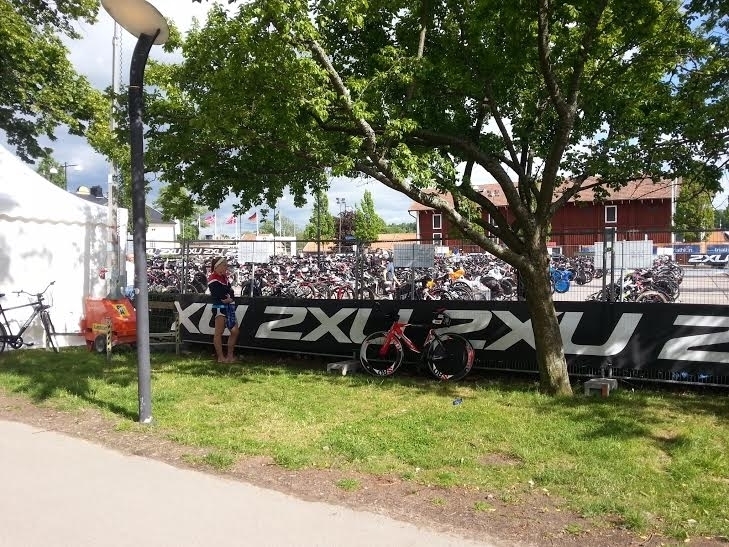 Two Mojo athletes have qualified for the Long Distance Triathlon World Champs in Sweden this year! 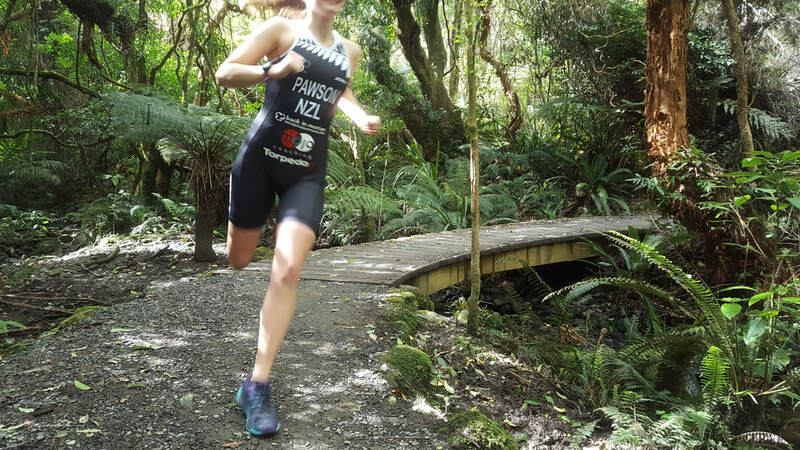 Andrea Cayford gained selection from her race at the Taupo Half Ironman in December. Andrew won his age-group in the Port of Tauranga half last weekend, also winning the NZ champs for his age group. Who's next for selection?! Leigh and Paul loved their Lake Taupo swim experience with Real Swim adventures. They swam 5km and 2.5km races, explored Lake Taupo and the Maori carvings and had expert coaching and guidance from Dan. Mark Dineen took 10mins off his race time in the Skins Grand Prix National Road cycling champs race, that's a PB! Andrea Ludemann and Schiovon Mitchell raced the Dunstan Classic from Cromwell on Sunday, both exceeding their expectations. Andrea rode her fastest ever 40km during the race! This coming weekend we have Wendy, Rob and Mark racing the Ruby swim in Wanaka. 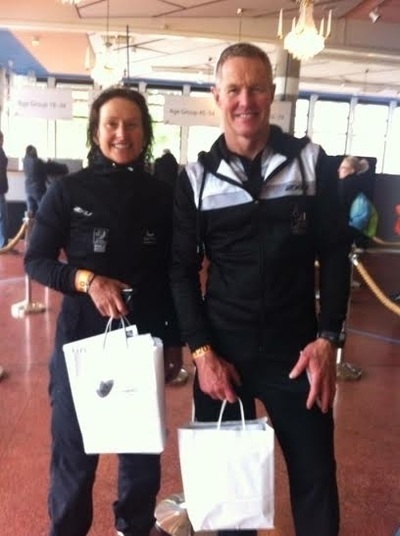 Wendy and Mark will back it up with the Sovereign Tri series race also in Wanaka on Sunday. This will also be a great chance for athletes competing in the Lake Wanaka Half IM to get out on the course and go for a reccy. Karl Tyrrell will take on the Auckland 70.3 this Sunday, the final time this event will be held in Auckland. All the best Karl! *Andrew is racing the Tauranga half ironman this weekend- make sure you pack your Mojo! *Andrea is racing the Dunstan Cycle Classic on Sunday- she's been training hard and achieving some PB's so I'm sure she'll rock it! *Mark is taking on the Road nationals in Chch this weekend- give him a cheer as he flies by! *Exciting news this week that one of our Mojo athletes has been selected for the WORLD TRI CHAMPS in Sweden... more on that soon! We had some Mojo athletes competing at the Christmas Cracker Tri at Lake Hood on Saturday. Mark, Andrew, Lizzy and Wendy swam, rode and ran in warm temps. Well done team! Newbies who are getting fit. Give me a call or email if I can help you achieve your goals! 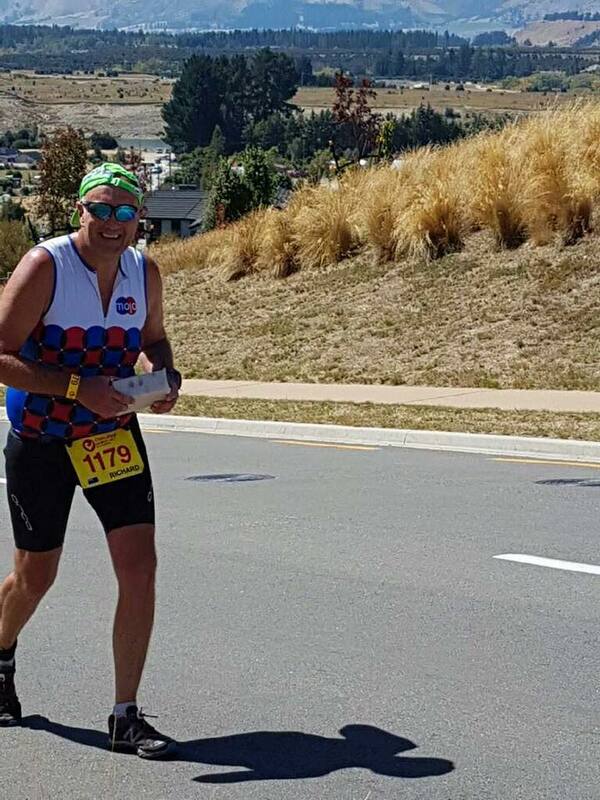 Taupo Half Ironman: Andi Cayford achieved a PB! Taking 11mins off the time of her previous half IM at Lake Hood in November. Rotorua Half Ironman: Vicki Martin pulled out her Mojo and swam/rode/ran her way to a PB in the Rotorua Half on Saturday. Paul Howells and Leigh Davidson swam the 5km race at Lake Hood. Leigh really stepped up from last year when she swam the 800m. Great effort Leigh and Paul in freezing conditions! Emily Molloy (2nd ) and Rob Naughton (1st) on the podium in the 1.5km swim at Lake Hood. Wendy Smith, 1.5km and me- Jo Knight also did the 1.5km. Well done to you all, great to see you all busted out the Mojo when it mattered! Rest up this week and we'll see lots of you at the Christmas Cracker Tri at Lake Hood this coming weekend. Bee raced a PB in the Hanmer half on Saturday- what a great start to her summer of events! 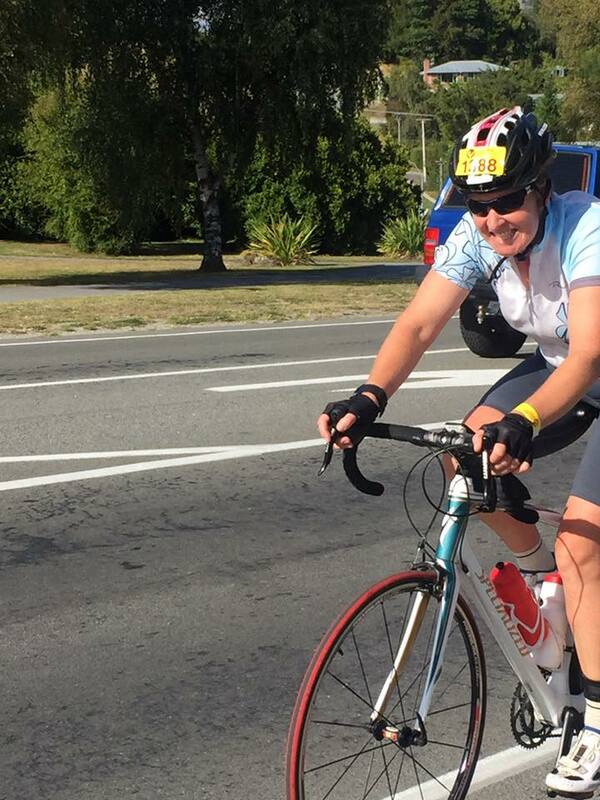 Wendy managed a good effort in the Women on Wheels at Methven despite being ill. Lots of Mojo athletes made the most of the good weather early on Saturday and ran/rode and swam some impressive sessions. Special mention to Paul who rode 160km around the Gorges; solo! Mojo athletes did well at the Corsair swim race last night. Rob Naughton took a podium spot in his first open water race! Other Mojo athletes competing: Stu Bryce, Andrew Taylor, Vicki Martin in the long course. Short course: Wendy Smith. Good work, team! Take two words out of your vocabulary- FEAR and EMBARRASSMENT. They are the two words that stop us from doing something, and get in the way of achieving our dreams. I hear this often: "I don't like running in daylight- I'm too embarrassed". Or 'I'm too scared to ride with that group, I'm too slow'. You must remember that we all started somewhere, so get out there and tackle that big hairy goal! If there's no fear and embarrassment, then what's stopping you? He also suggests writing down two really 'big' ideas- about what you'd like to achieve. Write them down, and tell one person (for accountability's sake). Have you tried doing that with your health and fitness goals? Did it work for you? Start thinking now, about how you will tackle your health and fitness goals in 2015. Make a commitment to improving your physical condition. Email me- I would love to hear about the goals you've achieved this year, or goals you've set yourself for 2015. If you write them down, or tell somebody- you're more likely to achieve them! Mojo Athletes Leigh and Paul swam the 4km round trip to Quail Island today with Real Swim Adventures. It was Leigh's first 4km endurance swim- top effort! Stu and his family ran the Press Summer Starter 10km- pushing their two girls in a buggy. Well done team, proud of you all!